Manufacturing CEOs are feeling quite a bit better about President Trump’s trade-negotiating tactics in the wake of the new U.S.-Mexico-Canada Agreement that is set to replace the decades-old North American Free Trade Agreement (NAFTA). In general, CEOs may worry less that Trump’s attempts to restrict free trade will put a damper on the otherwise-hot U.S. economy. General Motors CEO Mary Barra, Ford Motor CEO Jim Hackett and Fiat Chrysler CEO Mike Manley—along with their counterparts across the Tier One supplier community in North America—are particularly relieved because it appears their companies will be able to finesse the stiffer U.S.-content and labor-rate requirements of the new agreement without having to alter their investment plans nearly as much as they’d initially feared. “This agreement is vital to the success of the North American auto industry,” GM said in a statement after the White House announced the new multilateral accord after many months of Trump’s arm-twisting of the nation’s neighbors to the north and south. Congress still must approve the U.S.-Mexico-Canada Agreement, which is not a given considering the mid-term elections coming up. But for now, many of the C-Suite skeptics about Trump’s saber-rattling on trade were ready to concede that he notched up protections of American manufacturing workers and U.S.-based companies while avoiding the globe-shifting catastrophe that many had feared. 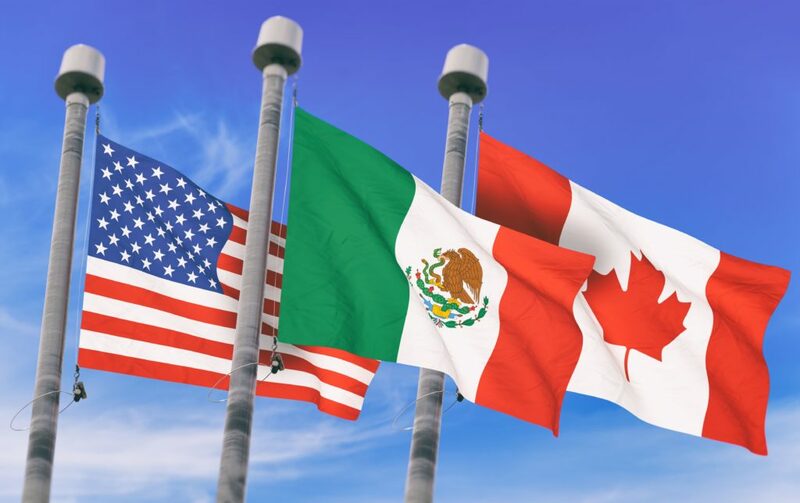 “Business Roundtable is encouraged that the administration has struck a deal with Canada and Mexico on updating NAFTA, maintaining its trilateral structure that is critical for North American supply chains,” Business Roundtable said in a statement. Vitally for U.S. automotive manufacturing, the new pact would help companies move forward on factory investments with greater clarity and with a review after 16 years instead of the much shorter re-evaluation that Trump initially pushed. “The fact that there is a directional agreement at all, one that has a long-term horizon of 16 years and will allow automakers and their suppliers to do long-range planning, is a plus,” stated Michelle Krebs, executive analyst for Autotrader. But Trump kept his promise to American manufacturing workers to make the NAFTA milieu more fair: The new pact requires at least 75 percent of a car’s value to be produced from parts and material made in the three-nation region, up from 62.5 percent. Highly compensated American and Canadian auto workers are favored by a provision that calls for 40 to 45 percent of each vehicle to be made by workers earning at least $16 an hour. And the penalty for a vehicle that doesn’t meet the new rules would be a 2.5-percent tariff, which is a significant added cost in a U.S. auto market that has cooled off in the last couple of years. Trump himself pointed to another aim for the U.S.-Mexico-Canada Trade Agreement: putting still more pressure on his global-trade Public Enemy No. 1, China. “We’re using tariffs [on the Chinese] successfully, to negotiate, and if we’re unable to make a fair deal, we’ll use tariffs” to penalize Chinese imports,” he said on Monday.